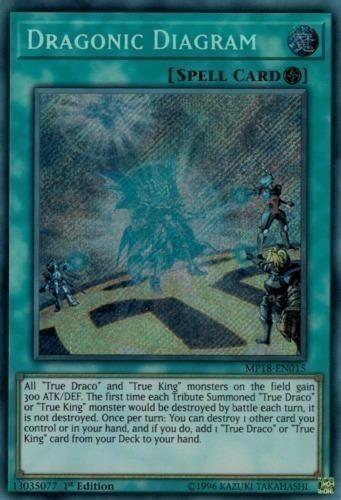 Text All "True Draco" and "True King" monsters on the field gain 300 ATK/DEF. The first time each Tribute Summoned "True Draco" or "True King" monster would be destroyed by battle each turn, it is not destroyed. Once per turn: You can destroy 1 other card you control or in your hand, and if you do, add 1 "True Draco" or "True King" card from your Deck to your hand.